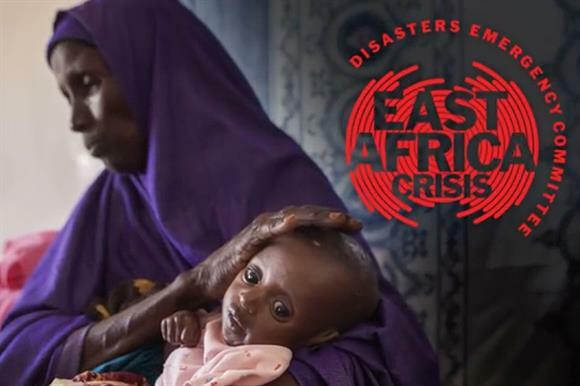 The Disasters Emergency Committee’s East Africa Crisis Appeal raised a total of £50m in three weeks, the coalition of major aid charities has announced. The appeal was launched in March to help 16 million people in South Sudan, Somalia, Kenya and Ethiopia who are on the brink of starvation because of drought and conflict. By comparison, the DEC’s Syria Crisis Appeal raised £10.3m in roughly the same time period, its 2010 Haitian Earthquake Appeal hit £50m in just under two weeks and the 2014 Ebola Crisis Appeal raised £20m in three months. The 13 aid charities that make up the DEC have said they can now scale up their efforts in the area, working alongside national organisations and other humanitarian partners. Saleh Saeed, chief executive of the DEC, said: "We are so incredibly grateful to all who have supported the appeal for their kindness and for their generosity to people who are thousands of miles away. Sadly, this crisis is worsening and we must do more. If you haven’t donated yet, please don’t delay, donate today." He said the aid delivery was making an immediate difference to the lives of affected communities. The UK government has match-funded the campaign up to £10m through its Aid Match Fund.